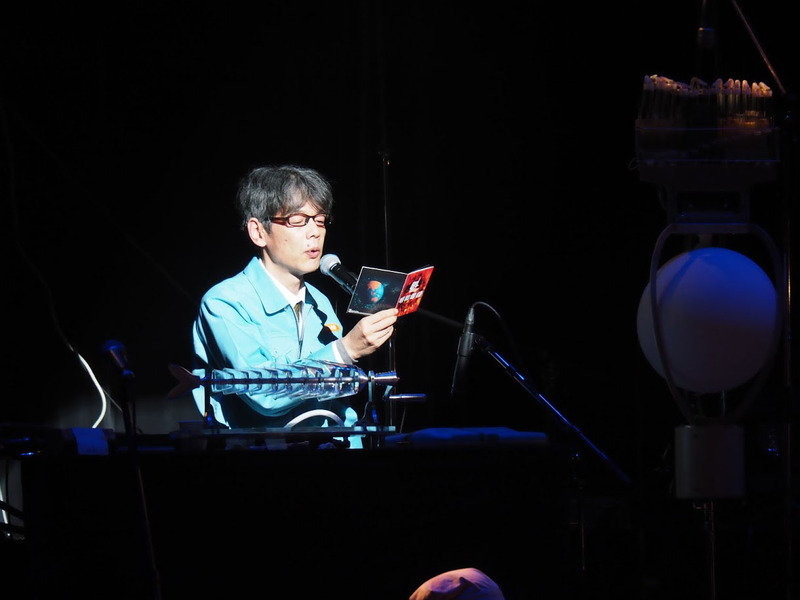 Less than five minutes into art group Maywa Denki’s 25th anniversary show on April 14 at Square Ebara Hiratsuka Hall in Shinagawa, Novmichi Tosa, the lead member of the group, has the full house giggling — and they haven’t even seen him yet. It’s pitch black and Tosa’s grand entrance has proved to be less of the anticipated glorious bang than a few comically erratic “pops,” accompanied by diminutive sparks of light. A soft apologetic voice finds its way out of the darkness: “I think my battery has run out …” And the giggles finally erupt into laughter. 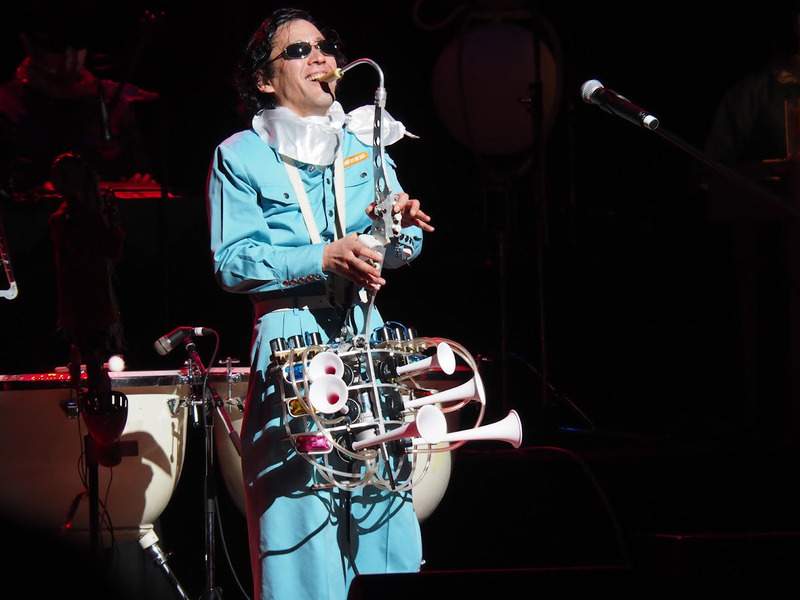 When the spotlight finds Tosa, a bespectacled man in a turquoise industrial worker’s uniform, he looks up awkwardly from fiddling with the culprit of the technical hitch — his Pachi-Moku backpack: a homemade mechanical contraption sporting wooden moktaks (wooden blocks), household light bulbs and a pair of retractable plane wings. It’s without a doubt a comical sight, and Tosa, grinning boyishly, owns the moment. It also just happens to be a perfect illustration of Maywa Denki’s enduring charm. 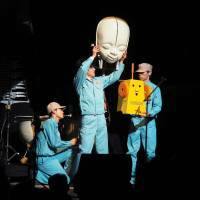 When Novmichi Tosa and his older brother, Masamichi, founded Maywa Denki in 1993, it began as an avant-garde performance art group. The uniformed brothers entertained audiences with catchy songs and choreographed comic dance moves, accompanied by their “nonsense machines” — handmade mechanical instruments, engineered using everyday electronics to produce or highlight analog sounds. 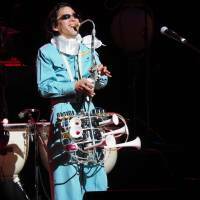 Foot pedals strummed guitars, deflating balloons played test tube pan flutes and custom-made metal xylophones lit up light bulbs. Inevitably their gadgets were at times unpredictable, but that only added to the humor and appeal. “When creating instruments as art, I only think about the visuals; the sound doesn’t really matter,” Novmichi says, with a laugh. 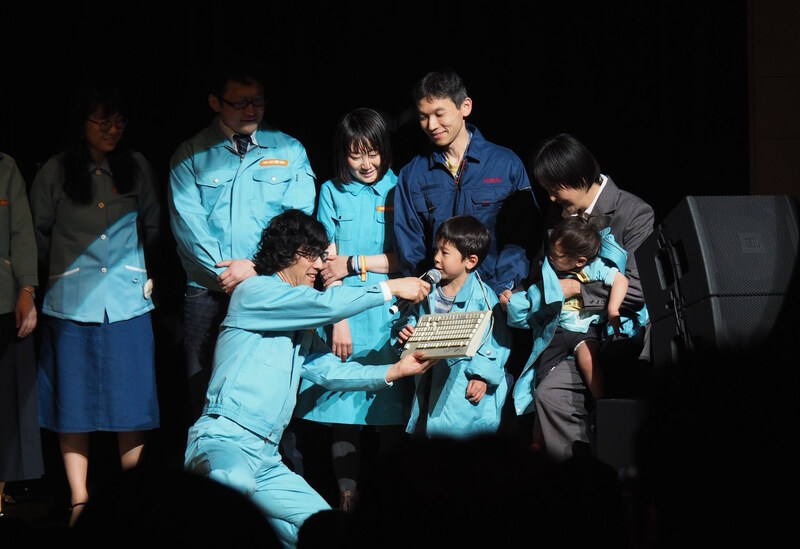 Behind the eccentric instruments, however, lies another unusual facet to the art unit’s continued success: Despite the seemingly amateurish sheen of the gadgetry, Maywa Denki is a meticulously planned and well-oiled company — and it actively promotes itself as one. As a parody of a small manufacturer, it describes itself as “an electric company in a parallel world.” The nonsense machines are its “art resource” products; its performances provide “mass promotion;” and its “mass production” comprises Maywa Denki-designed merchandising, the first of which, a power cord that looks like a fish skeleton, was released in 1994. 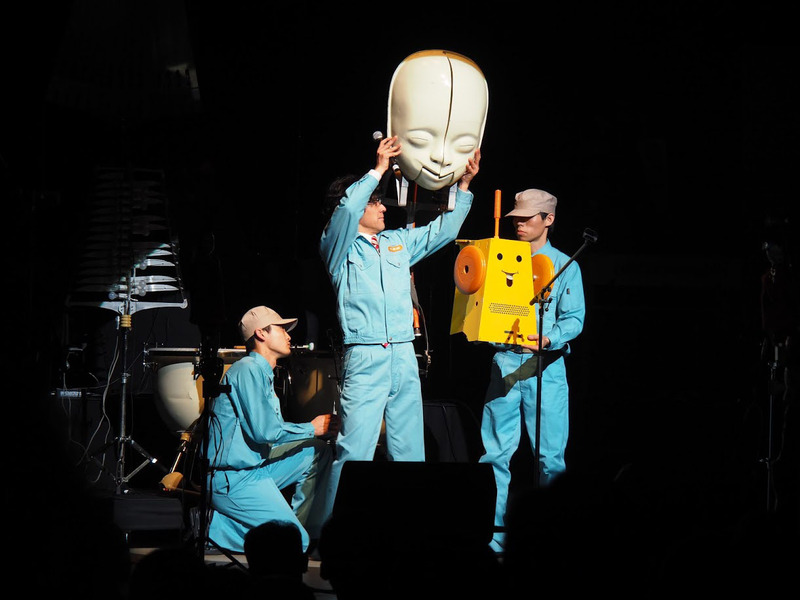 Now, it not only performs as Maywa Denki, but also gives kids shows as Dr. Hige and the Nonsense Machines, teaches toy-making workshops and releases numerous publications, including its own journal. All members — the “parallel-world electricians” — hold company titles: Novmichi is the “president”; Masamichi, the former president, is now a “supervisor”; Satoru Wono is the “accountant”; and U.K.-based sound artist Yuri Suzuki, a visiting member, is a “researcher.” More recently, four underlings — dubbed A, B, C and D — assist the team, but everyone wears the same mandatory turquoise worker’s uniform, genuine articles provided by Yamamen, a company that also sells traffic safety bibs and service-industry outfits. The 25th-anniversary concert was even preceded by a 90-minute Company Information Session Meeting — appropriately presented via PowerPoint. 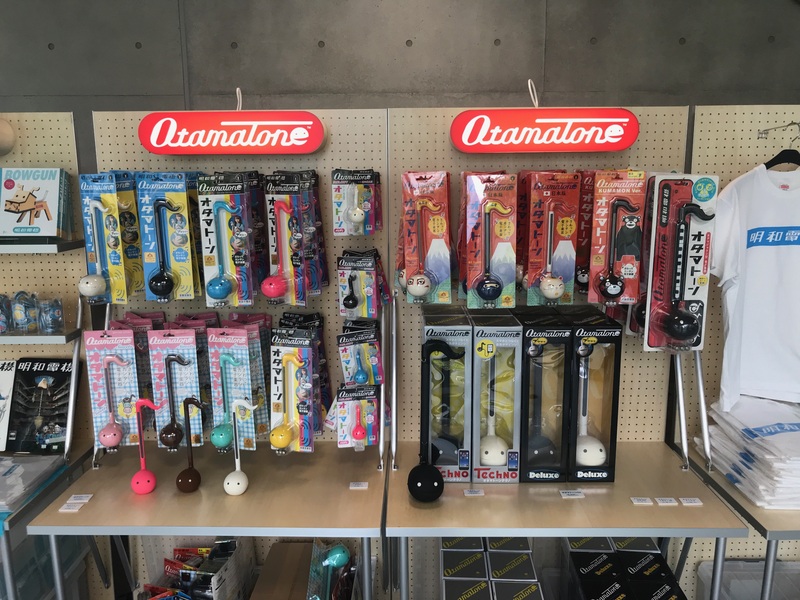 Included were demonstrations of Maywa Denki toys and gadgets (from the company’s Art to Mass Production division); a rundown of past gigs and events (Art to Mass Promotion); and a hilarious report of what the company did when it discovered that Flying Tiger Copenhagen was selling cheap ¥200 knock-offs of its popular fish bone Na-cord USB. “I wasn’t angry. I thought it was funny,” says Novmichi later. 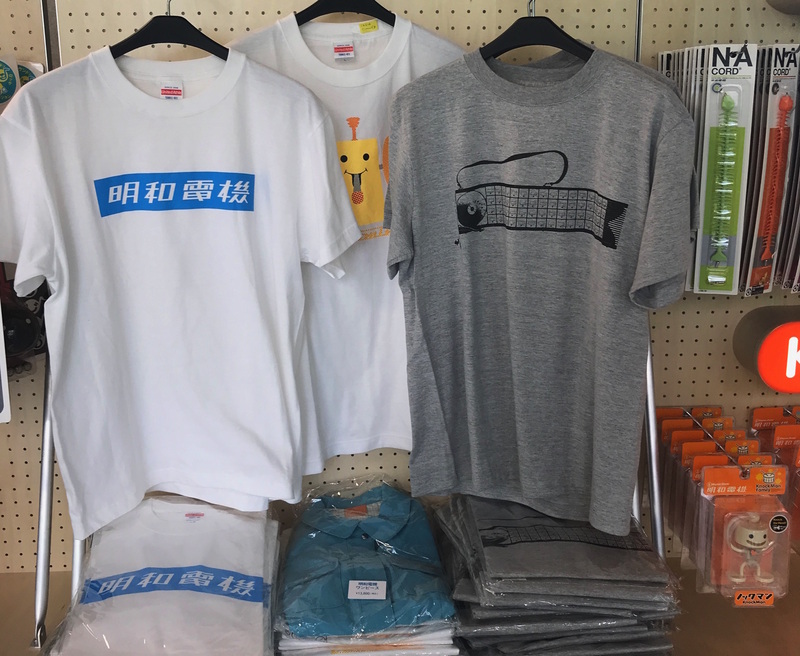 In response, he strategically bought all the Flying Tiger fish cords he could find (around 120), then signed and re-branded them as “art” to sell for ¥600, “because we thought ¥200 was a bit too cheap, even for the copy.” Using the slogan “It’s a copy, but I love it!,” Novmichi went on to create huge Flying Tiger “Flying Fish” replicas and priced them at ¥200,000 — 1,000 times the original price. “Those didn’t sell well, though…” he admits sheepishly. Perhaps slightly lost in such humor and the whimsical nature of Maywa Denki’s work is the fact that it is still conceptual art. “Naki” — the outfit’s first series of art products and instruments — explores the existential question of “Who am I?,” but through the viewpoint of a fish. “Edelweiss” — a series of flower and other nature-themed devices — is even stranger. Initiated in the late 1990s, it comments on the risks of consumerism and materialistic societies by imagining a dystopian all-female city in which the inhabitants are conditioned to pursue beauty products at the cost of fertility. 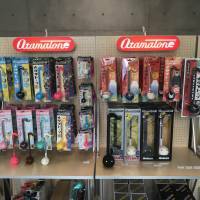 Ironically, while “Edelweiss” seems to criticize the mass production of the economic boom that originally inspired Maywa Denki, that hasn’t stopped it from churning out model kits, publications, T-shirts and lines of peculiar toys, including various versions of its popular Otamatone tadpole-shaped electrical instrument. It even sells its worker’s uniforms to the public. And the fans — spanning a range of generations — eat it up. Much has changed during the 25-year career of Maywa Denki: Tech advances have disrupted almost every industry, sometimes even destroying once profitable Japanese corporations. 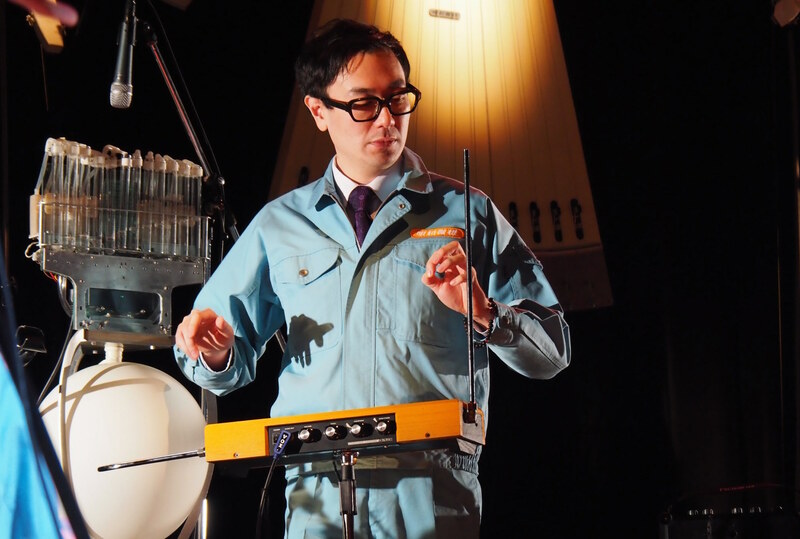 Perhaps it is Novmichi’s unfaltering homage to technology of a bygone era — when motors whirred and Japan was No. 1 — that keeps this quirky little company humming along. 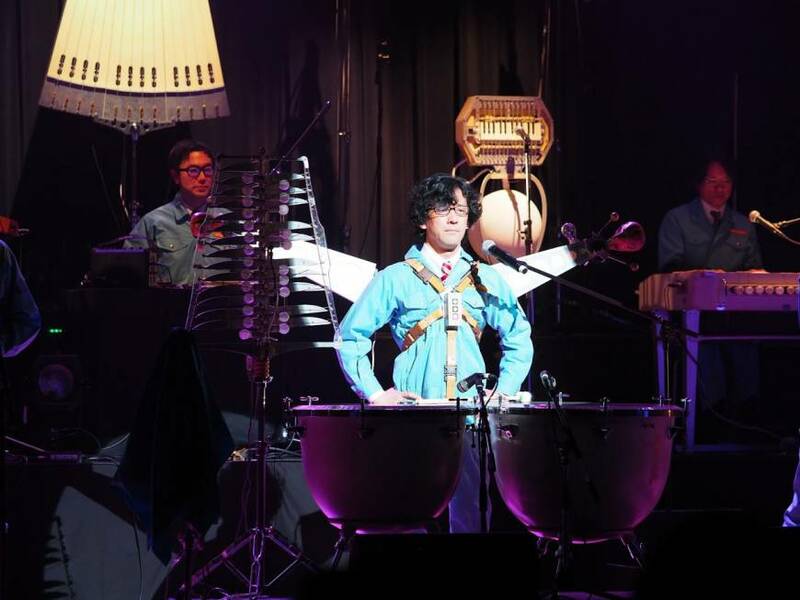 Maywa Denki’s next concert is on May 19 at Hakodate Kominkan in Hokkaido, where it is also holding two exhibitions. For more information, visit www.maywadenki.com. 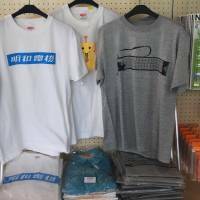 More exhibitions are scheduled for July and October in Nagasaki and Oita, respectively. For more information, visit www.maywadenki.com.